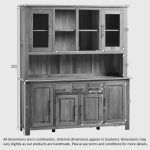 The Rivermead large dresser is a great combination of form and function. 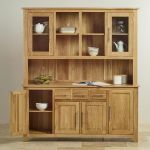 Plenty of storage is available in the base with shelved cupboards, and the upper section, partly glazed and with some open shelving, is ideal for showing off your special china and glass. The natural, solid oak works well in a Welsh dresser. Simple panelled doors, and tongue and groove at the back make this a statement dresser that can be used as a standalone piece, or with other furniture in the Rivermead range. 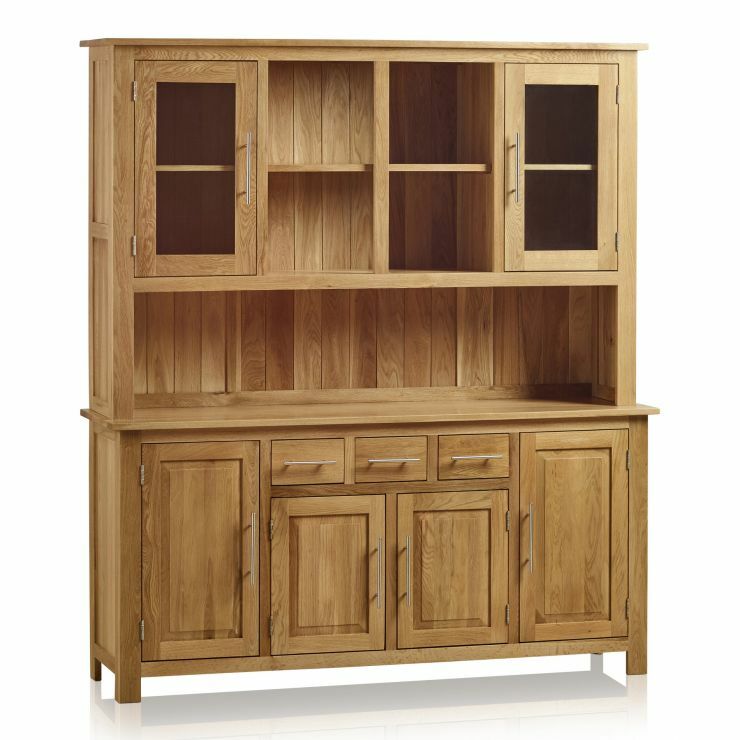 Use the Rivermead dresser in your home as a room divider, or simply as the household’s central hub. 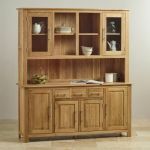 The combination of 100% solid oak and clean, timeless design means that this dresser will be part of your home for many years.